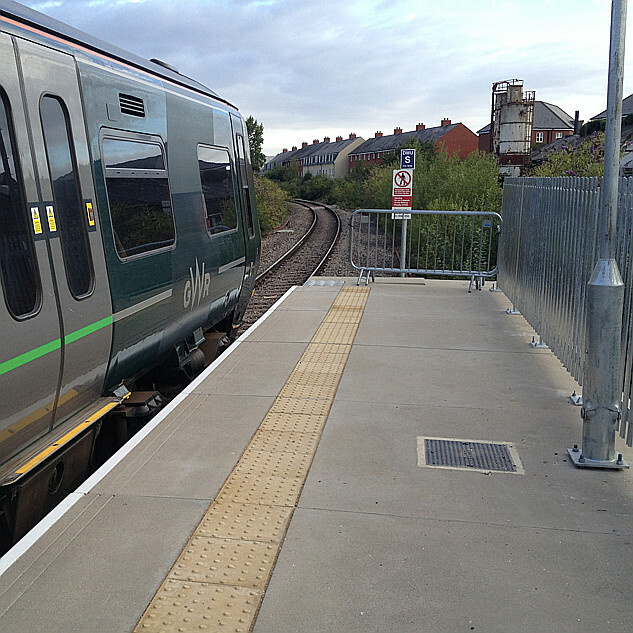 Passenger journey numbers at Melksham Station have risen from around 3,000 per annum to around 75,000 per annum over the past few years - but that is still a long way short of the sort of level seen at other stations in Wiltshire serving other market towns. It's several years since a passenger survey was conducted to help inform everyone ( community / rail industry / local government ) and a survey of departing passengers is planned to take place on Tuesday 5th February 2019. It's being 'fronted' bt the Melksham Rai User Group (and I'm the co-ordinator) but with support / assistance from partners - much of the background was set in place at the Rail User Group meeting on Wednesday at which both Wiltshire Council and TransWilts were present. Please let me know (email graham @ wellho.net if you're not logged in here to send me a forum message) if you ara available and would like to help. 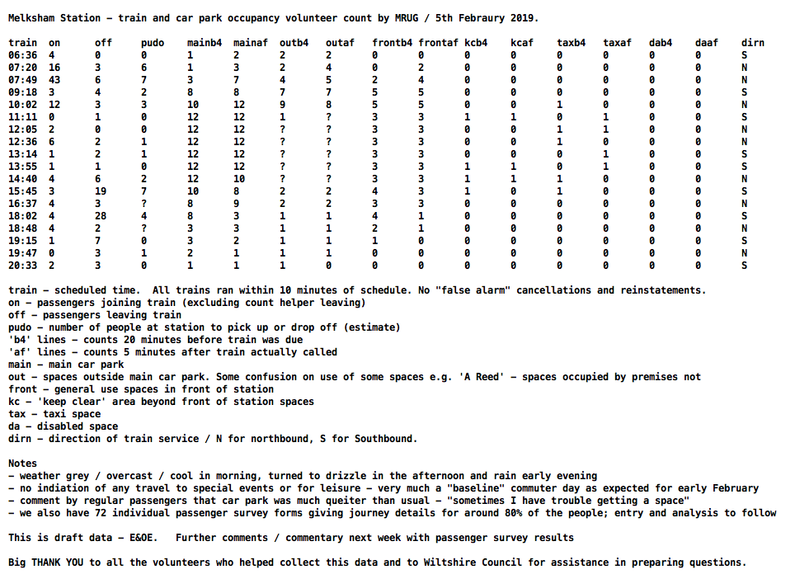 We plan to have volunteers at Melksham Station for every train that calls right through the day, and each 'shift' will comprise a lead person with prior experience and (we hope) a newcomer so if you've not done it before you won't be on your own. It's rewarding and informative to hear what people have to say, and once people know why you're doing the survey, all bar a very few are happy to complete it. See also http://www.mrug.org.uk for further details - through this initial post is on the Coffee Shop and it won't be on MRUG until the weekend. 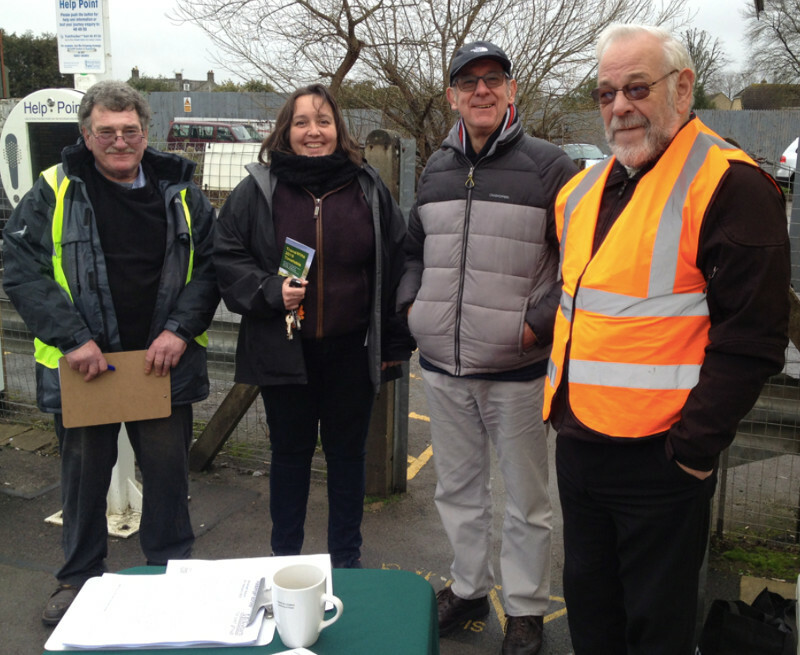 Thank you to those of you who helped TransWilts with their major survey at Chippenham Station over the last week, and for indicating that you may be able to help with the Melksham Rail User Group survey at Melksham Station this coming Tuesday. I have left setting up the rotas until late in the day to avoid any confusion between the two events which - however - are to the same end of gathering data to help inform station and service development. CAN YOU HELP? Please let me know if you can! Please find initial (draft) paperwork [here] - I may do some late tuning of the questions and clarify volunteer guidance. The document explains why we are doing the surveys and includes samples of the volunteer (count) and survey forms. You will find that the vast majority of people are happy to help when they know why we are curveying, and that it's a fun couple of hours working with / getting to know other vounteers. 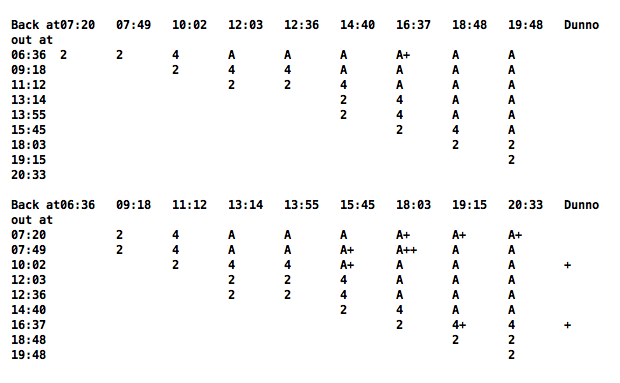 The nature of the Melksham train service, though, is that there are gaps. Perhaps that will change in future years. Just to endorse Grahame request for supporters. It'll be a fun thing to do, and if your not a regular Melksham user, a chance to see our etxnded platform and the significant number of users at the station. Do contact Grahame and offer to help! Do give us a wave if you're passing through on the train today or stop and say "hi" is you're using Melksham Station. Forms and paperwork in case they're of use to other groups - surprising as you look at these just how much experience we have and how much goes into something like this! I am ... JUST ... home. 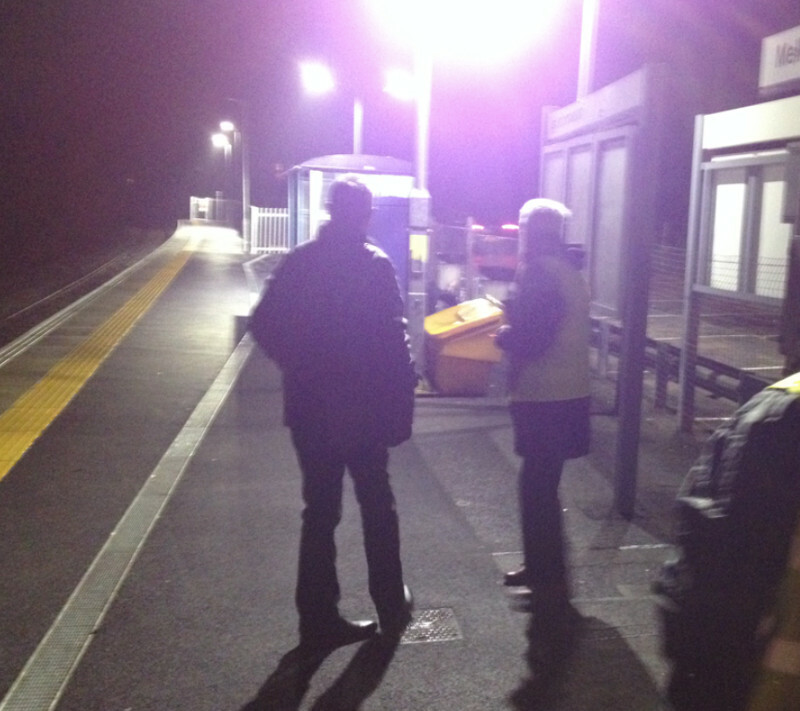 At Melksham Station from 06:15 until 20:45 - nothing like as bad as it sounds because I did a split shift helping with the early trains where lots of people are leaving, and the final train in the cold wet evening. Fantastic to meet so many service users and to learn what it means for them. Our news feed elsewhere is filled with the GWR debate in parliament which has focused on things that haven't been going right, but what we find at Melksham is a service which, in spite of its foibles, makes the biggest difference to the daily lives of so many people. For sure, there are some comments along the lines of "wouldn't it be nice if ..." and I will write up those tomorrow, but over all what a happy bunch of passengers. And what a happy bunch of volunteers too. A job done well, a task clearly enjoyed and I already know that it has taught me and others some lessons - again to be shared in the write-ups. Thank you everyone for making my day educational, and fun. https://www.bbc.co.uk/sounds/play/p06yrlm6 - 2 hours an 10 minutes to 2 hours and 18 minutes - comments on the GWR franchise debate which turned into Melksham survey and promotion discussion. 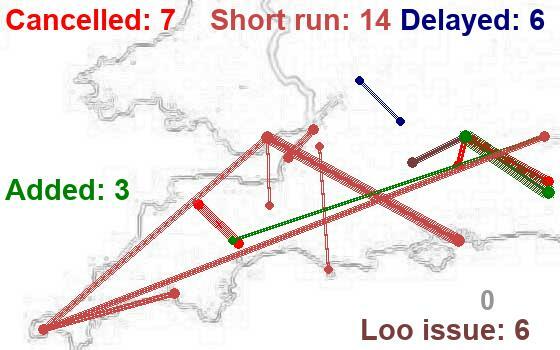 Initial analysis / counts show 111 departing passenger and 103 arriving on 5th February - almost all round trips, with an equal balance of single outbound and single inbound journeys. The difference of 8 is accounted for by people who left during the day, but had to make other arrangements to get back because they had things to do beyond the last train to Melksham (19:32 from Westbury / 20:08 from Swindon). A cool, grey day which turned into drizzle and then to rain. Some 85% of departing passengers completed our individual passenger survey, so we now have good data for use about their journeys to and from the station in Melksham, as well as being able to tie up round trips - looking beyond individual train loading to which outbound train ties in with which inbound. Lots of data entry to do; scheduled for the week after next as it's not as urgent as the initial data (which included car park counts) that was 'critical path' stuff for TransWilts. There is a sanitised data set at http://www.mrug.org.uk/svy_20190205_public.txt - data granularity in that set reduced to protect against the possibility of systemic recognition of individuals. For GWR, Wiltshire Council and TransWilts readers full data can be provided, and I may well do some further extracting for MRUG too looking in particular at journeys to the station. 1. Many passengers were unsure of their return train - even between two trains two hours apart. This suggests to me that there are many others who would use the train if the return were more frequent. 3. The number of people working less that 5 days a week is significant - full days, just not quite 5 of them! 5. Astonishing how far people will walk to Melksham Station (that won't show up in the data I have published as it gets personal) - especial reference though to the Bowerhill area which is a gob of residence right next to a gob of employment. Might not even need a special bus - just a stopping of the x72 and/or D3 at the station! 6. Surveys of destination station "London" are reported above as Paddington; Heathrow for does not include details of which terminal. 7. Information from member of staff at local business that the water supply to some premises (perhaps including the building planned as the Melksham Hub) may currently have a high lead content. Also note to suggest TransWilts check if it's fully mains drained.